Strengthen Your Physical and Energetic Health with Mantras. Your physical body is animated by life energy. And, according to India's science of sound healing, you can gather and direct prana (life force) through the power of sacred sound. 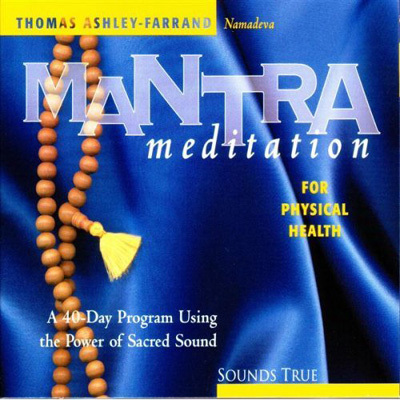 With Mantra Meditation for Physical Health, Thomas Ashley-Farrand - one of the most acclaimed teachers of mantra in the West - guides you syllable by syllable through a rich 40-day program of mantras to strengthen your natural healing potential. Mantras initiate vibrations within key areas of the body to release energetic blockages through their influences on your body's energy channels. Now, through clear guided instruction, you will learn how to voice 21 authentic mantras to fortify your health, address specific forms of illness, clear energy blockages, and draw in prana. Includes a special meditation practice to guide you to the most effective mantra for your specific health concerns. Complete with printed reference guide.